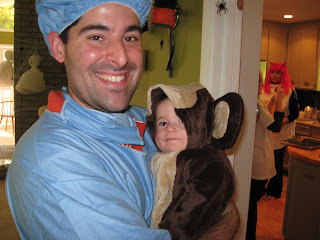 Our good friends in Atlanta threw us a Halloween themed shower last weekend. 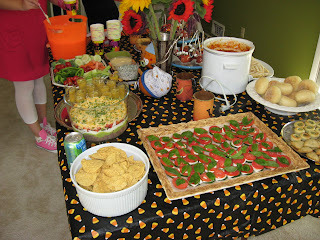 It was a great time with TONS of good food, fun decorations and of course costumes! 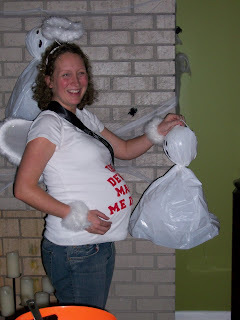 Me and Jolie's pregnant ghost! 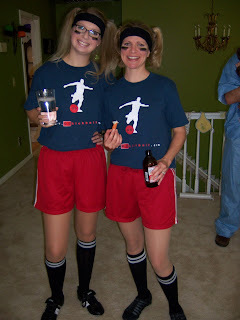 Kerstin and Robin as kickball players. 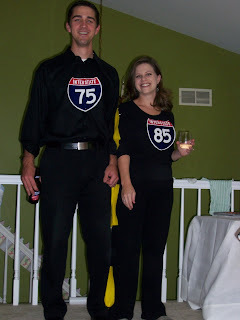 Matt and Katharyne are the "downtown connector", Atlanta's notoriously crammed interstate junction. 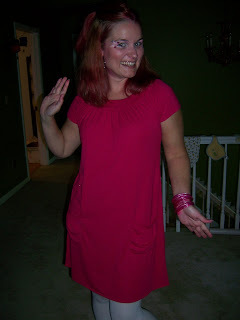 Jolie is one of the Holograms. 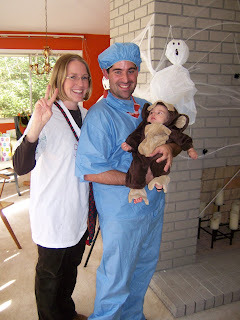 The McCabes are an animal protestor, monkey and animal scientist. 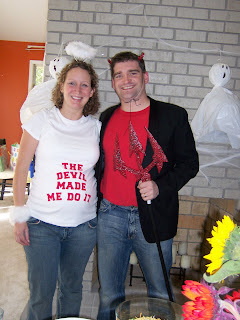 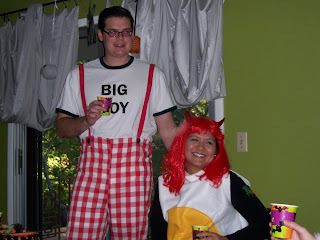 Mike and Rachel as Big Boy and a "deviled egg".